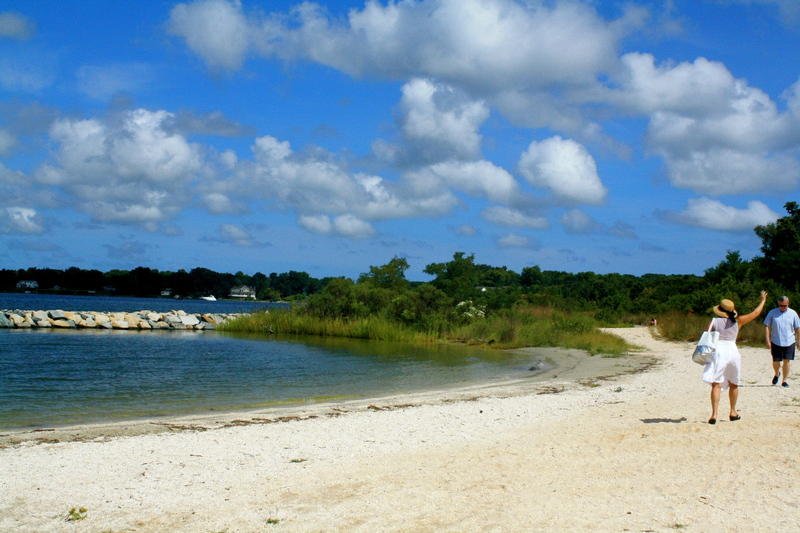 We went to a little beach near Solomons Island on the Chesapeake Bay. I saw a blue crab, two beautiful butterflies, and a little green snake! It was a good day. 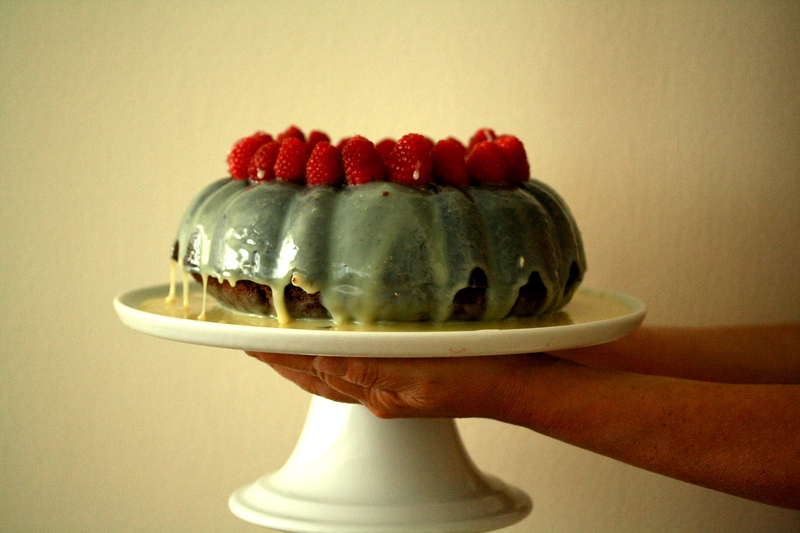 Then, I made this cake. I’m usually squarely in the dark chocolate camp, but today I wanted to try something different. 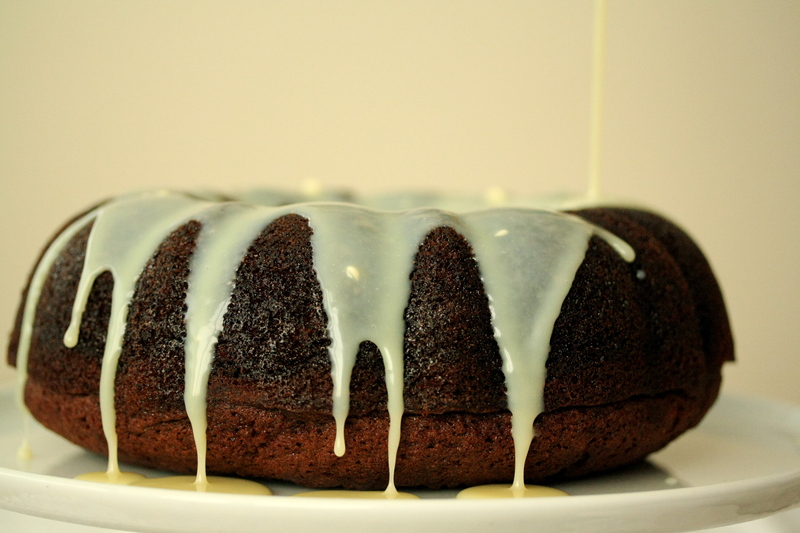 This cake caught my eye because it has white wine and olive oil in it, along with the white chocolate glaze, which sweetens up the slightly savory tendencies of the cake. It’s a little ridiculous how much white chocolate is on this thing, and you will have a lot of white chocolate ganache left over, but you can just refrigerate it and then reheat it whenever you want to pour it on something. Or you could make white chocolate truffles with it, whatever floats your boat. This recipe has been adapted from Bake: The Essential Companion by Alison Thompson. 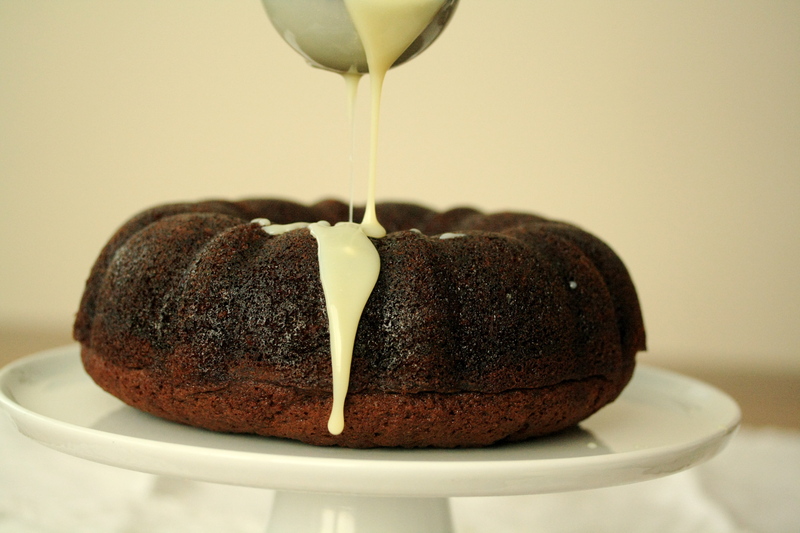 Preheat the oven to 350 degrees F. Grease a bundt pan with butter. Sift the flour and baking soda into a large bowl, then mix in the sugar. Add in the eggs, oil, and wine and mix until smooth. 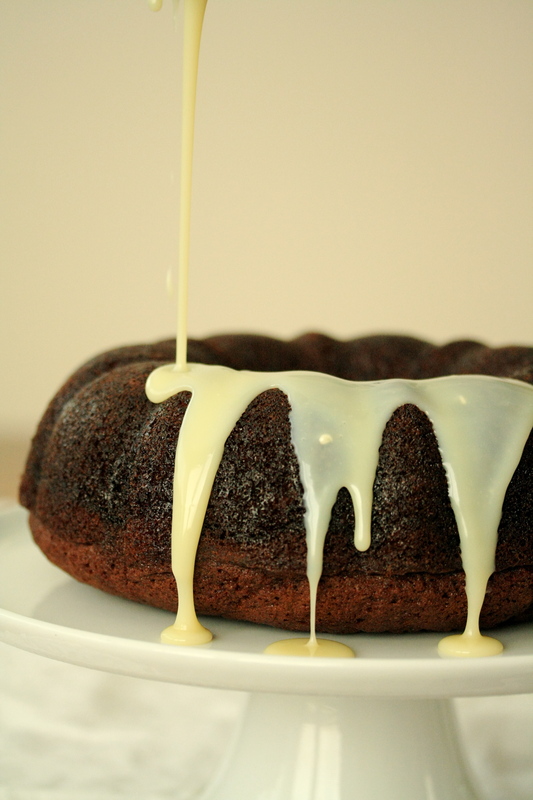 Pour batter into bundt pan and bake for about 40 minutes, or until a skewer comes out clean. 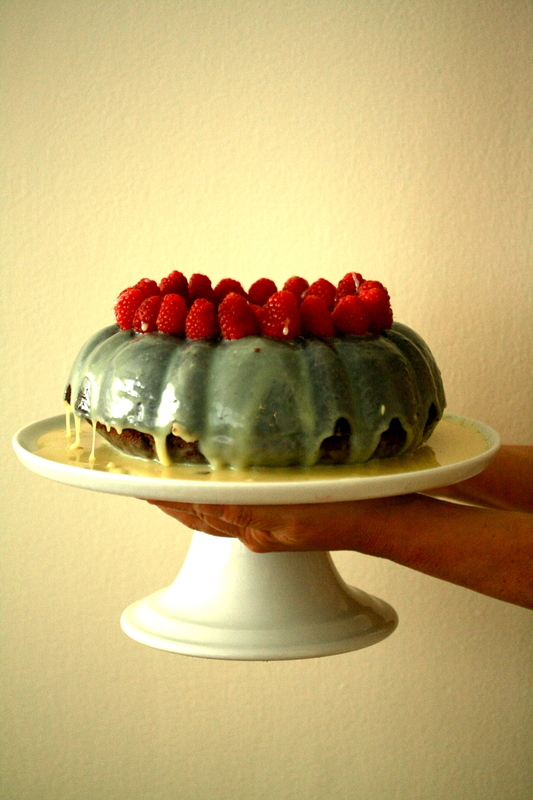 Pour the ganache on top of the cooled cake and decorate with fruit! I chose raspberries.